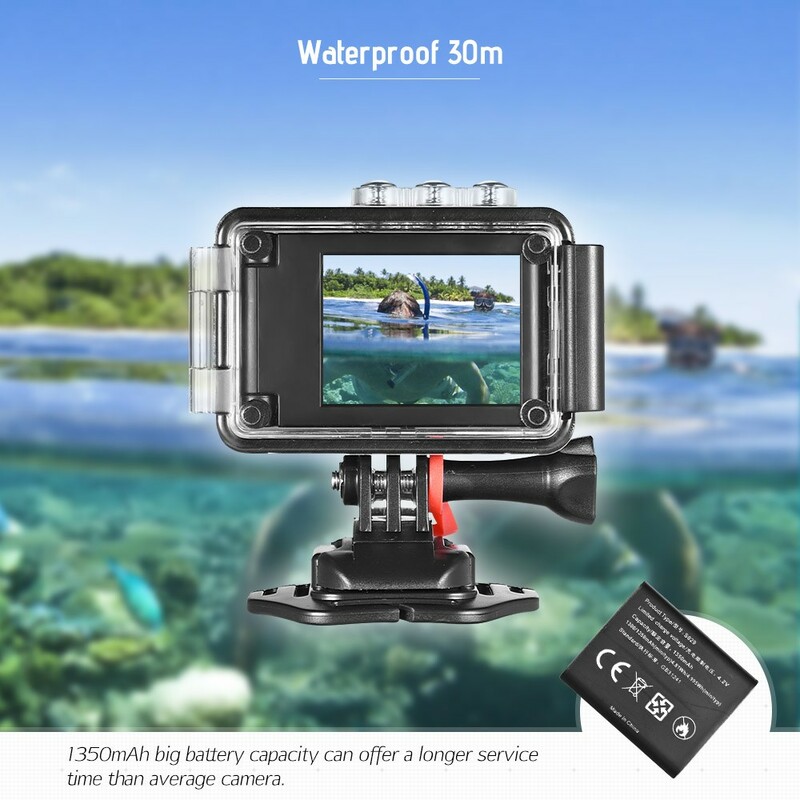 Novatek 96660 chipset, 4K stunning video shooting, 16MP HD photo capture, 170 degree wide angle, dual screen display, 30m waterproof, 1350mAh high capacity rechargeable battery, a remote control, a hard case, WiFi function, time lapse & slow motion mode... all these together make Andoer AN300 a smart choice for action camera. What else? 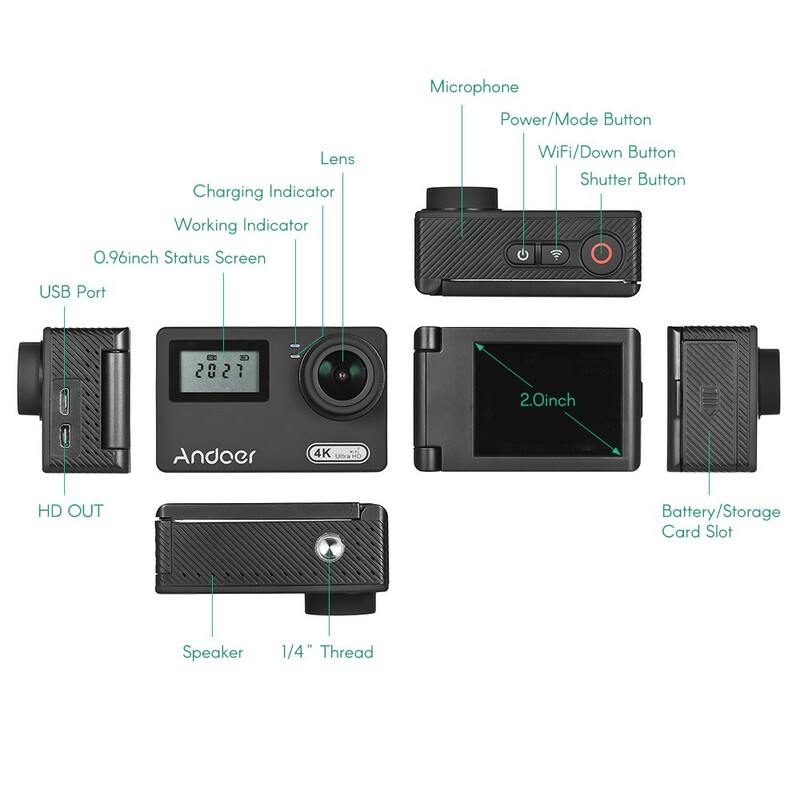 It is the first action camera that has a rotary LCD screen! You can spin the screen when making selfie! 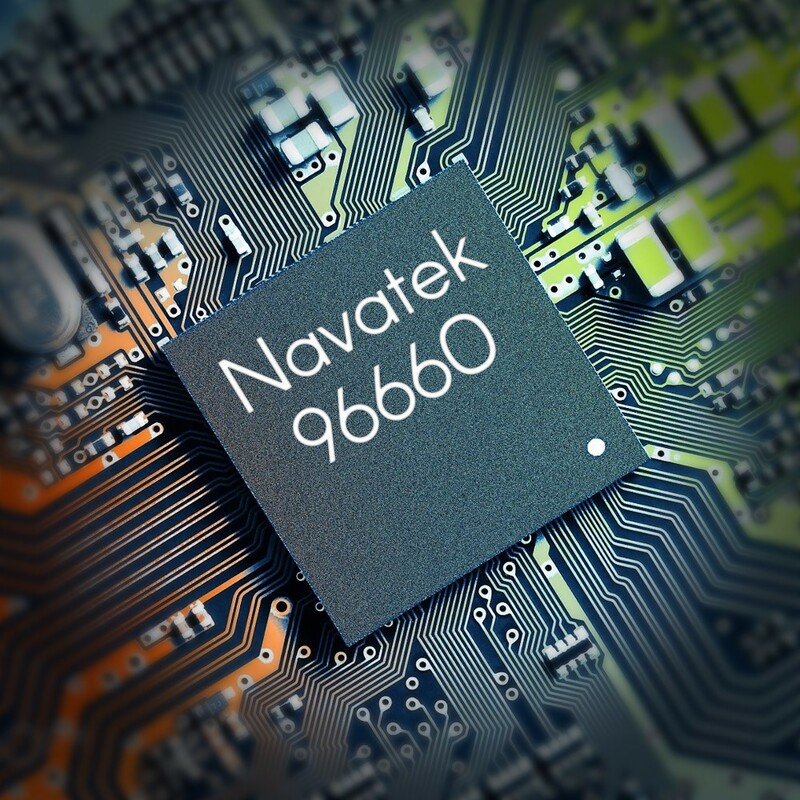 Start your video shooting at 4K(2880 * 2160) 24fps, the advanced Novatek 96660 chipset can guarantee high image quality and video smoothness. 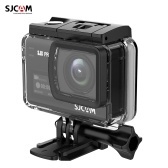 Adopt for Sony IMX078 CMOS sensor, highly sensitive to light, still image can be clear and vivid. 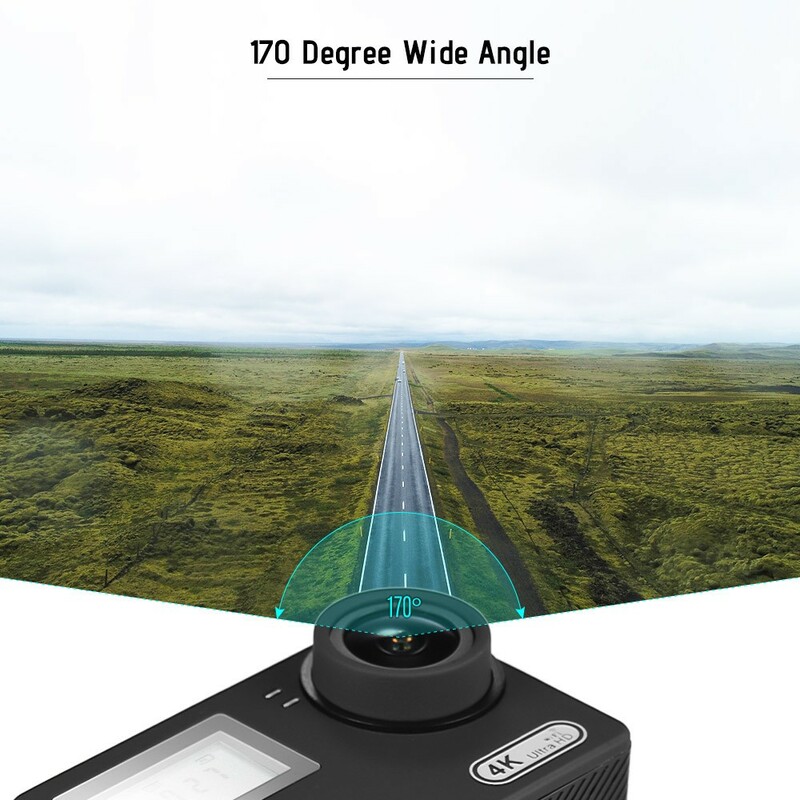 170 degree wide angle lens can take a wider field of view for wonderful scenery. 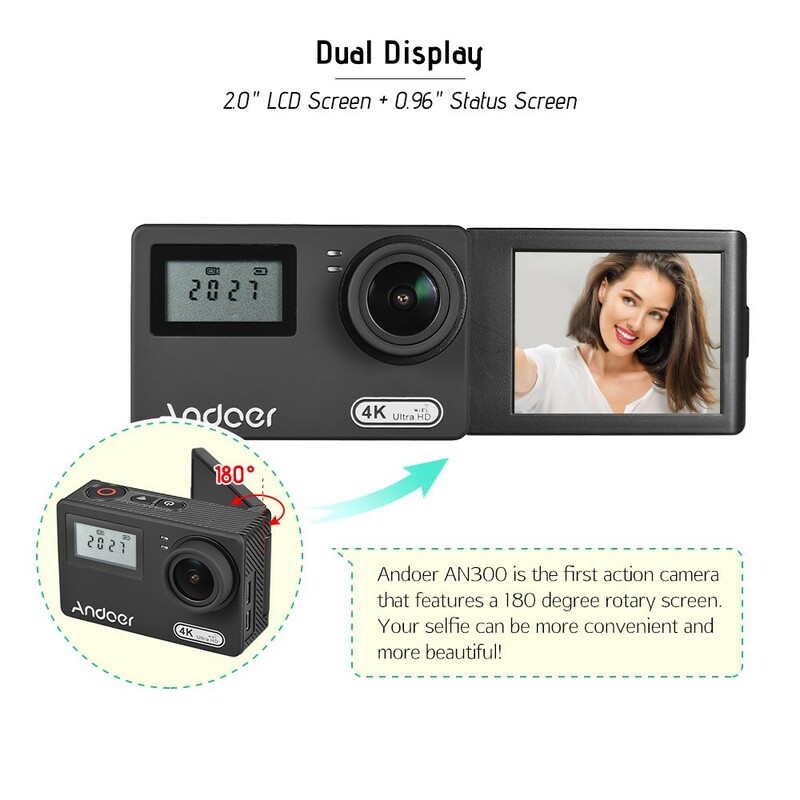 Dual display - the back 2inch big LCD screen support real-time monitor, 180 degree rotary make selfie more convenient. 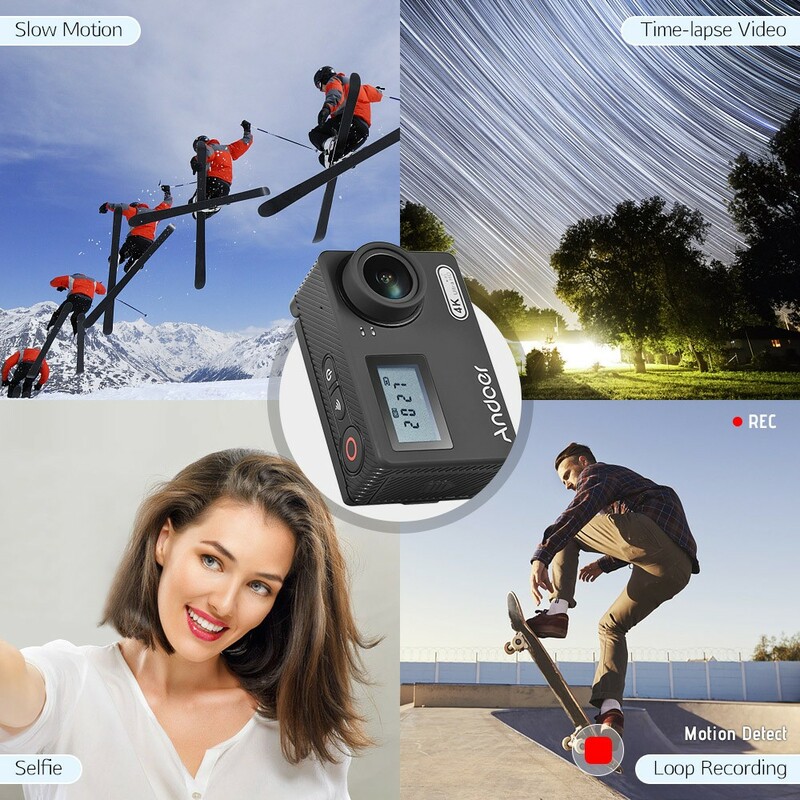 You can enjoy more fun with shooting modes like time-lapse video, slow motion, loop recording, self-timer, sequence, driving mode, diving mode, motion detection. 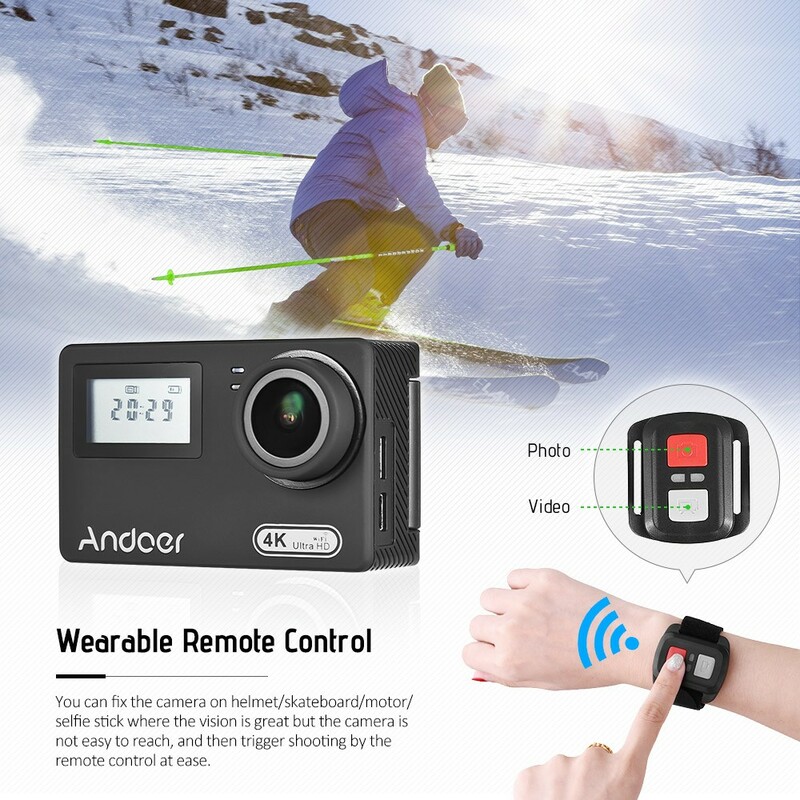 A wearable remote control to trigger photo/video shooting. 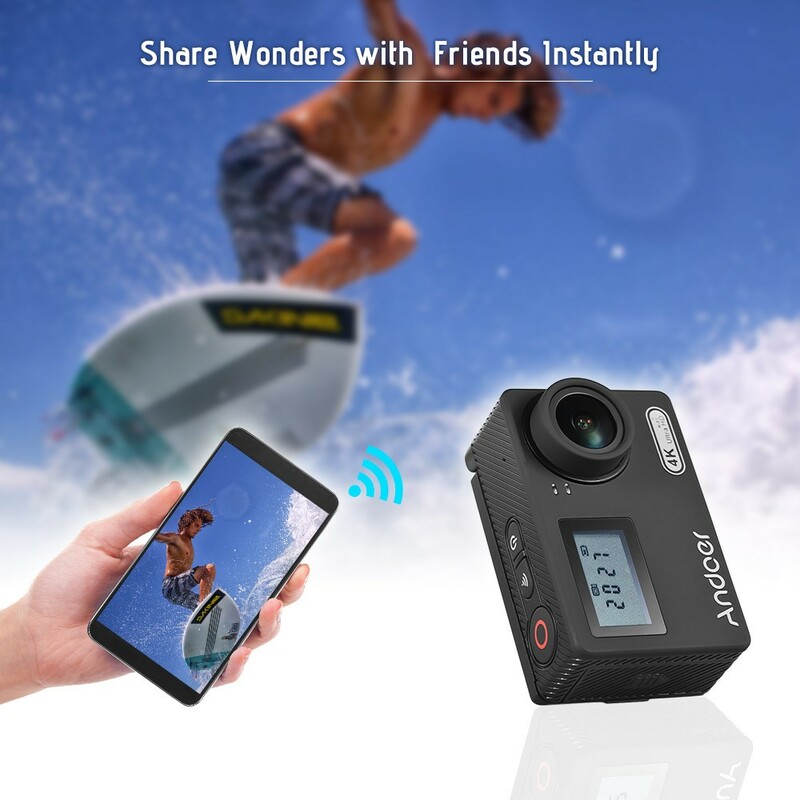 Connect your phone with camera via WiFi, then you can transmit and share photo to friends instantly. 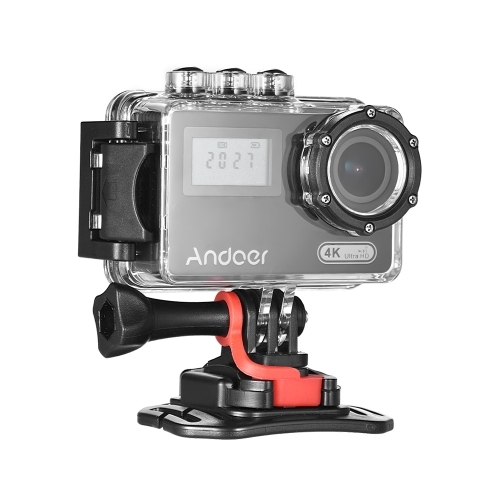 The camera housing can go 30 meter underwater, waterproof for marine recording. 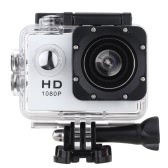 4.2V 1350mAh rechargeable battery, bigger capacity can offer a longer service time. 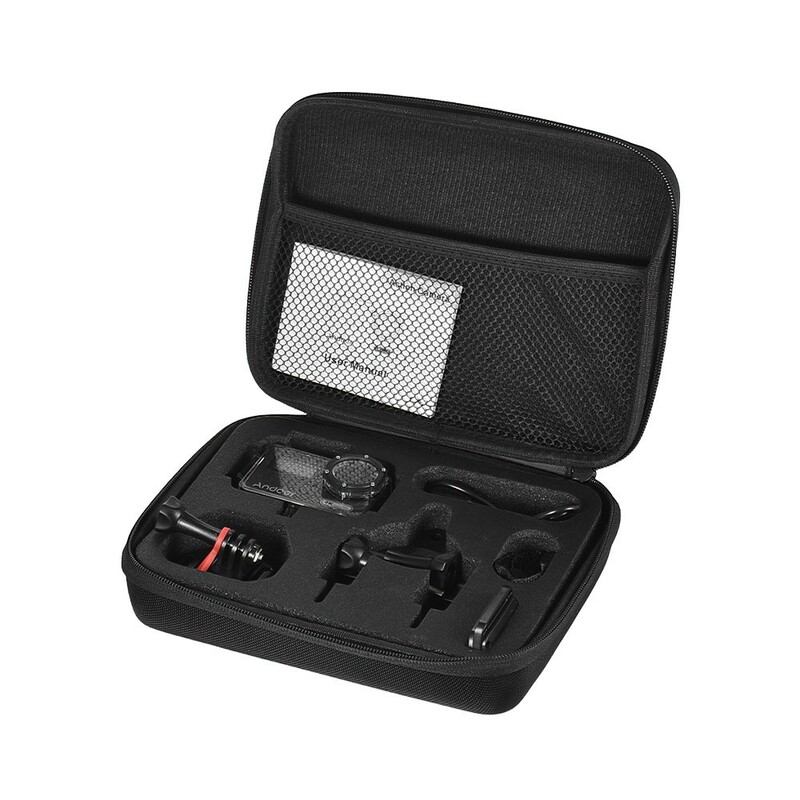 Packed in a portable hard case for easy carrying. 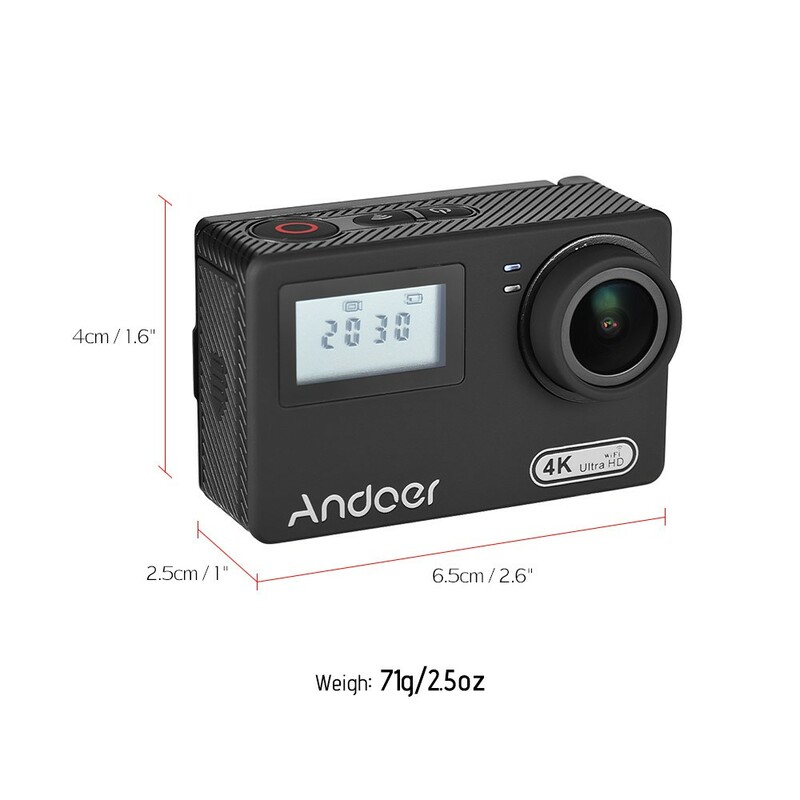 Item Size: 6.5 * 4 * 2.5cm / 2.6 * 1.6 * 1"
Package Size: 21.8 * 17.2 * 5.4cm / 8.6 * 6.8 * 2.1"
Q Is this a touch screen? A Sorry, this is not a touch screen, thanks . 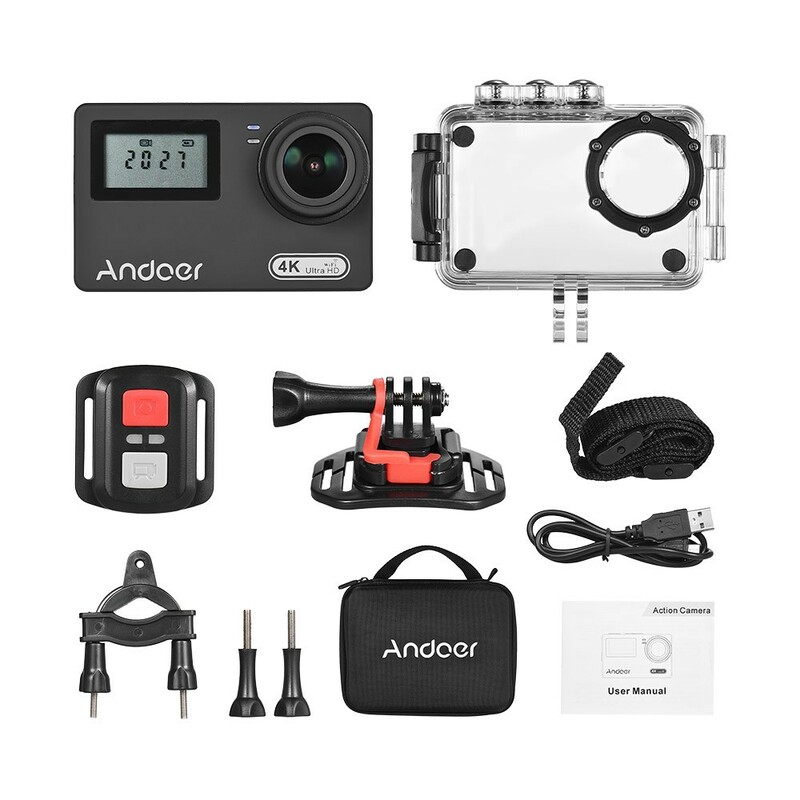 Q Where can spare batteries for this Andoer AN300 camera be find? A Sorry, we do not sale this battery separately,thanks. 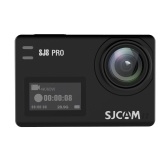 Q Does it have image stabilization? A No, dear, it does not have the function. 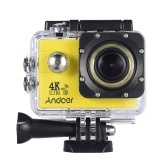 Q Does it have any image stabilization (gyroscope or anti-shake)? Thank you. 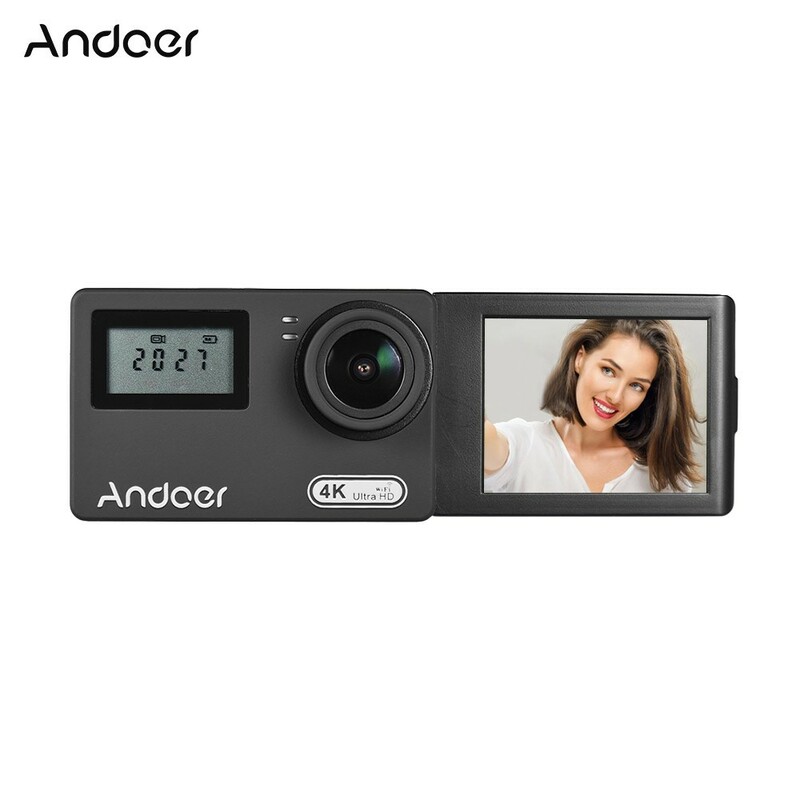 Q I bought the camera from them. I would like to have an extra battery. Can I buy them from you? 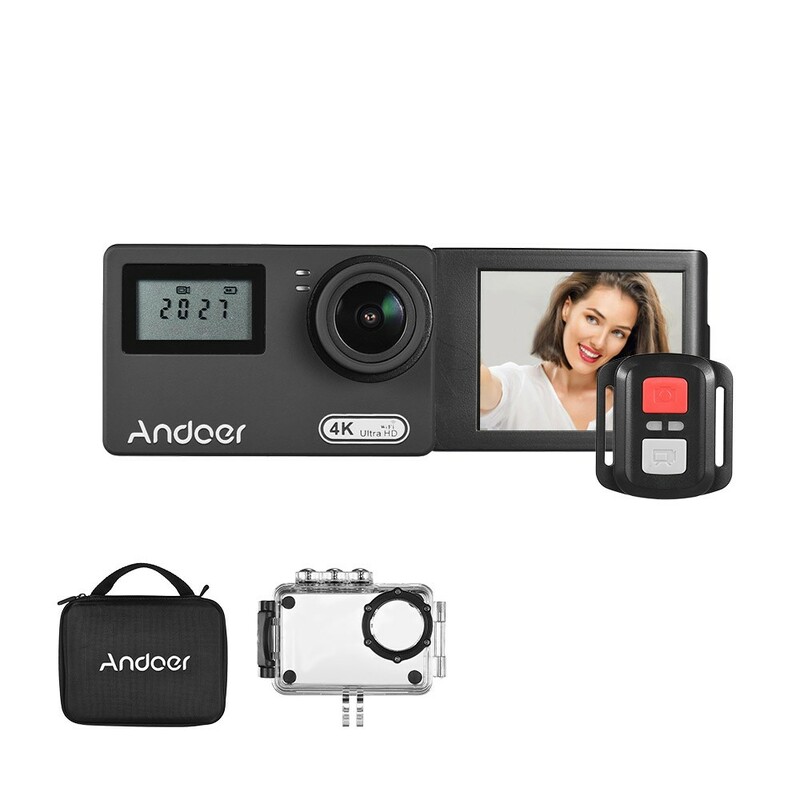 Q dose it support external mic? Respectable. TOMTOP Team room I arrived today 8-8-2018. Item perfectly packaged and working. 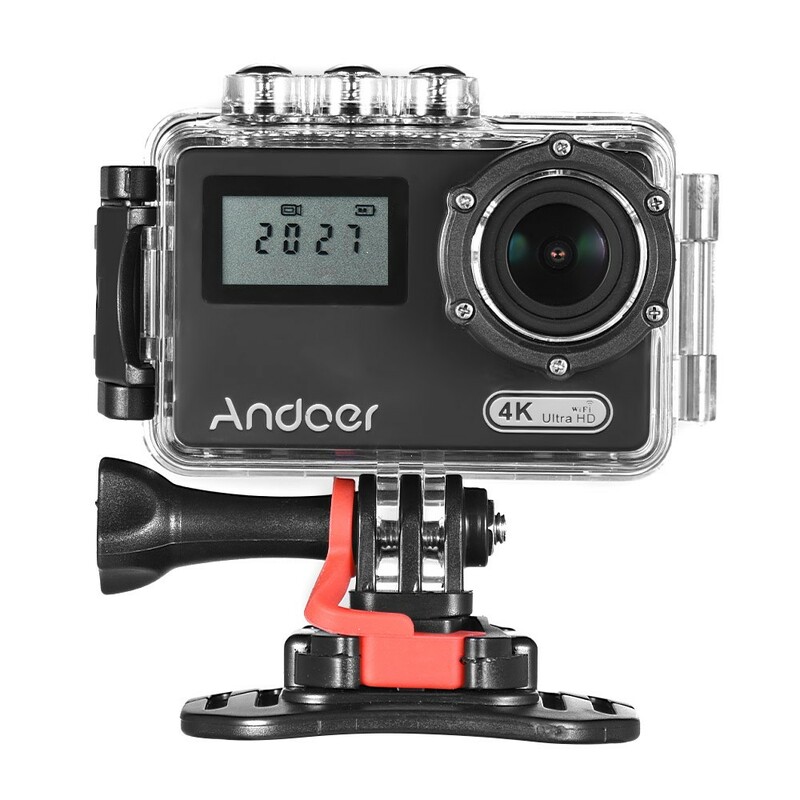 Congratulations to Andoer for having designed the adjustable viewer. Very practical. Thanking you, I greet you cordially. Lorenzo. 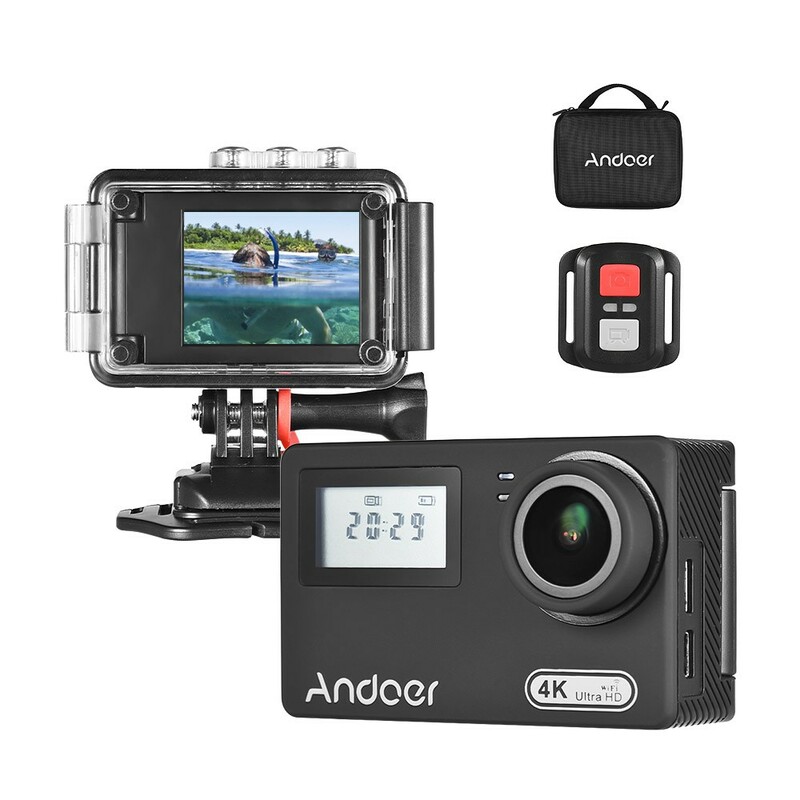 Just received this Action Camera today. Plugged it in and charged it, then turned it on. Selected wifi and then downloaded the app to my Samsung Galaxy Note 3. 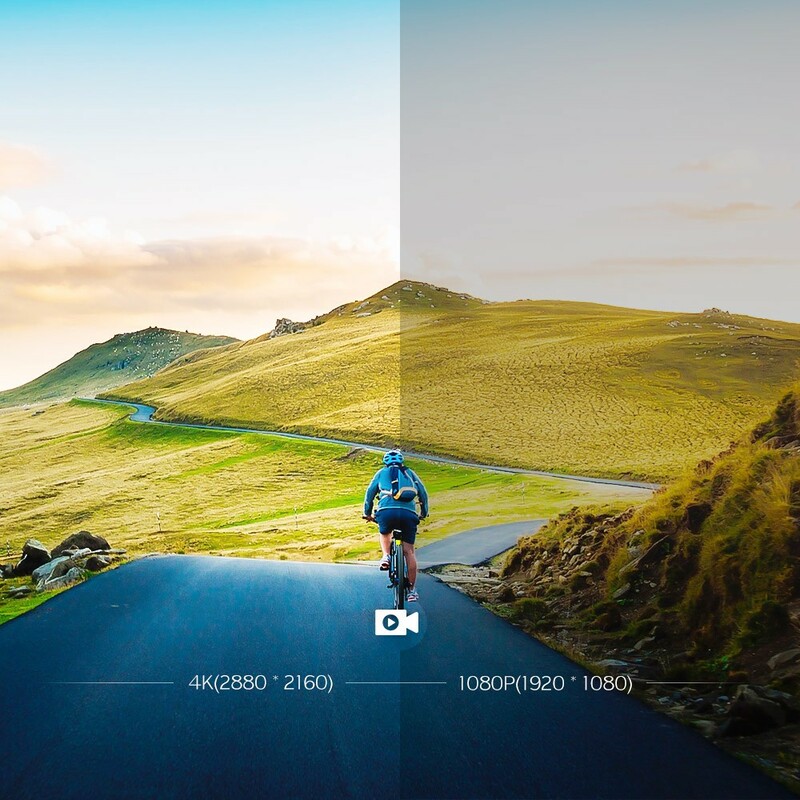 Immediately recognised the camera and everything worked fine. This is a fantastic Camera the ability to.move the screen to forward facing is idea if you wish to make videos or take group photos. Everything comes in a hardcase and the various mounts supplied are great quality. The motorbike clamp is the sturdiest I've ever seen. 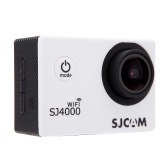 This is a fantastic Camera and far better than most others and a lot cheaper too. I'd recommend it to family and friends.